Many small business owners have the challenge of choosing what aspects of their businesses should be prioritised. Is it the day-to-day operations or the online presence? The answer is that they should be developed in tandem. The growth of a small business can no longer be primarily focused on tangible proofs of success and improvement. The parts that are not so easy to gauge, like website functionality, are vital to the successful growth of a business or brand. Let’s take a look at our ten reasons for increasing your business’s web presence. Part of building up a brand and business is instilling a sense of trust in the customer. This is easier to do with a strong online presence. It caters to a customer’s need for online information and gives them an idea of what kind of image the business puts out there. Unlike other static aspects of a business, a website can be accessed from any device and is always close by when the customer needs answers. When a business has a website, it serves as a form of advertising, customer enquiries desk and brand statement. 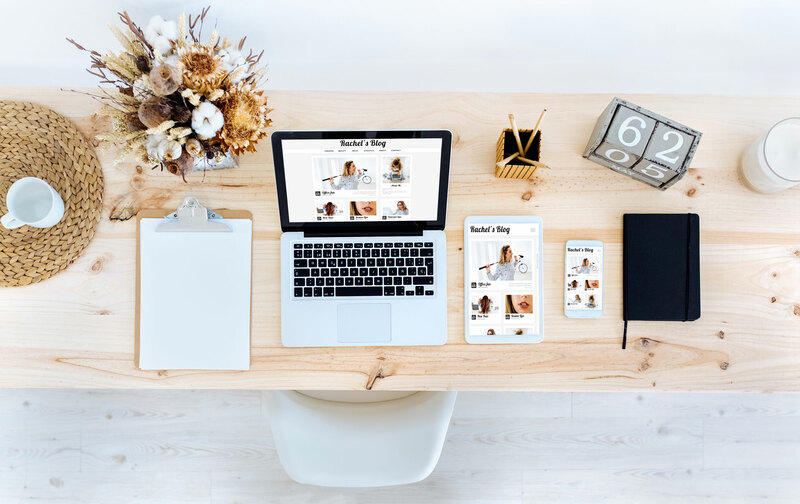 Not only is the website layout made to adapt to multiple platforms when choosing a responsive website, but the settings on the other devices are considered as well. This is handy if the customer is using a VPN or accessibility options. Responsive websites show the customer that the business cares about their presentation. High Google rankings are not possible without one. Having a responsive, well-designed website does more for the small business than simply display that it has the chops to run with the big dogs. It gives instant credibility and brand awareness 24 hours a day. It is quietly conveying your message to customers, influencing how they make their decisions and spreading information, all while the business functions as usual. There are professional website design companies who prioritise the needs and budgets of a small business. They will help in the development of a top-notch website that can proudly stand alongside those of bigger businesses. This will help grow the company while still being affordable. When it comes to growing a small starter business or showcasing the appeal of a boutique shop, it is never a good idea to cut corners with a website that tells the customer that you chose a cheap website design. Here are a few descriptions of the ins and outs of web design in general. A small business’s website is its calling card to the customer. No matter whether the person is using a smartphone, tablet or computer, they will have access to its information at their fingertips. This is one of the primary reasons why a responsive website is so important. The design incorporates brand recognition devices such as logo, colours, script and photographs. The web content must be strongly focused on easy reading for every possible consumer type who accesses the website page. A web developer is the small business’s guide and helping hand. 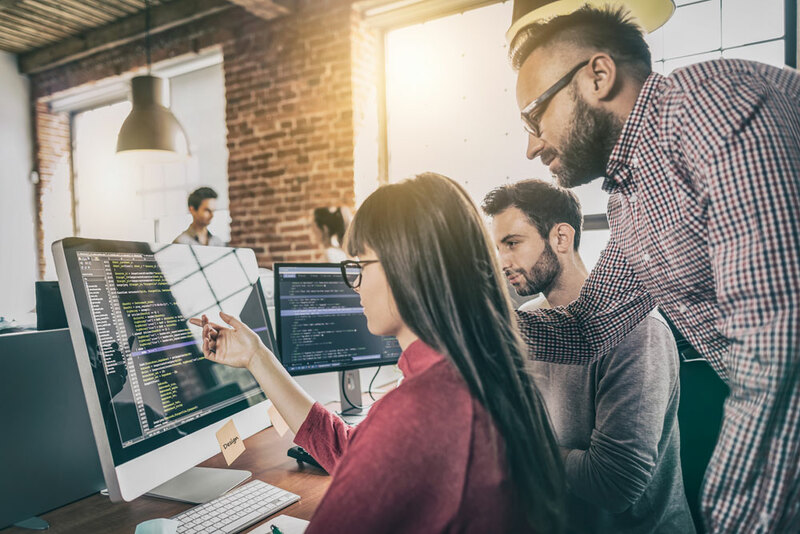 While the company focuses on the daily operations of the business, the web developer is quietly getting on with the job of creating the back-end and front-end digital face of the brand. Any web developer worth their salt is going to work strictly with the chosen budget and produce a quality site that exudes professional trustworthiness. This is their job, and they are good at it. A website is such a vital tool for small businesses that it should not be entrusted to anyone other than a professional web developer. This also gives the business time to concentrate on other operational facets. The web is overrun with companies that offer the chance for anyone to make their own website. This is not a good idea for a small business for several reasons, but the main one has to be that keeping a website updated and optimised is a full-time job. If this area of the business is neglected or de-prioritised, the source of customers will dry up. Hiring a website developer will ensure the small business can do what it does best while the developer does the heavy lifting for the business website. This is another area of website design that is best left to the professionals. Dealing with the functionality of flexible grids, layouts, images and CSS media is extremely time-consuming. A good rule of thumb to be used here is: if you had to ask yourself what CSS media is, then you should leave the development of your small business responsive web design to the experts. Using a web design company who can work within the assigned budget to digitally advance your small business has been statistically proven to multiply a business’s revenue stream by nearly four times. Nothing instils more confidence in the consumer as their first impression of a professionally designed small business website. A website design company will create a site that you’ll proudly show off to customers and friends. Websites are so recognisably large piece of any growing business. Developing a bigger brand awareness for your small business with a web design company is a vital step for growth and prosperity.